Let our NIGERIA BIBLE OUTREACH give you a “feel” for God’s Heart for NIGERIA! Please help us put a “Bible” in the hands of a person from NIGERIA who really needs to be “touched” by the words of God. CONSIDER A GENEROUS love GIFT TO SUPPORT THIS GREAT WORK!!!! Bibles that are sent to NIGERIA are given “FREELY” to our ministry. Then they are sent out to our missionary brother in NIGERIA. 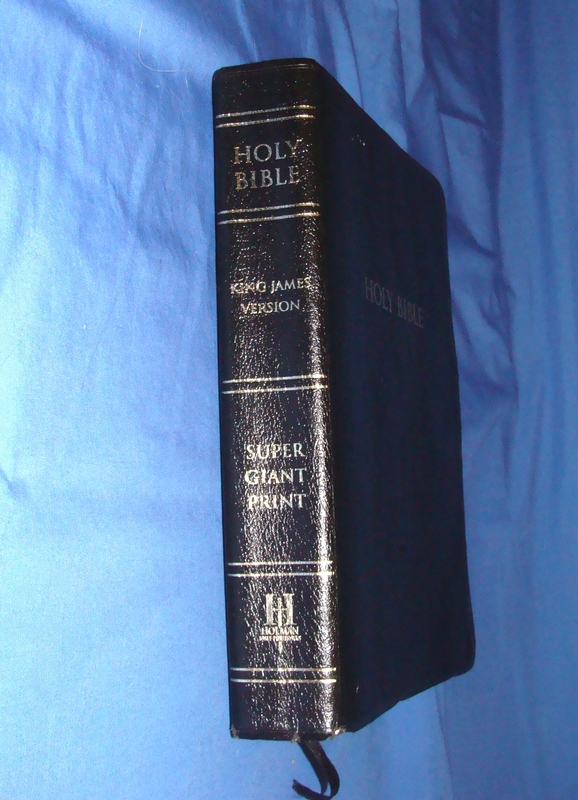 The main cost to us in getting the Bibles to NIGERIA is the great shipping cost. As well as the Bibles and other ministry materials needed them selves. Also note worthy is the information that if you check the box that you will be sending a “Love gift” of Bible(s) for the Nigeria Bible outreach, and enter a quantity of Bibles you will be shipping. However, we do NOT get NO further contact from you within two (2) weeks that is to say fourteen (14) days from this contact as to when to expect the Bibles, or some sort of contact with some kind of tracking number (i. e. UPS, Fed Express, or the United Postal Service USPS). Then we will assume this is a “Spam” contact and you are a “FAKE”!!! Also by the same token. If you have checked the box to say that you intend to “Sponsor a Bible” for Nigeria. You will NOT need to enter a quantity. You ONLY need to enter a quantity if you intend to “SHIP BIBLES” to us for the Nigeria Bible Outreach. However, as to Bible sponsorships. If we do NOT get NO further contact from you within two (2) weeks that is to say fourteen (14) days from this contact as to some sort of LOVE gift. Whether by using the Nigeria LOVE offerings link above, or by a check or money order made payible to HOLYness BIBLEs for the blind. Just include with your check or money order the fact that this LOVE gift is for your “Sponsorship” of Bibles for the “Nigeria Bible Outreach”. However, if we do NOT get this LOVE gift we will then assume this is a “Spam” contact and you are a “FAKE”!!! * Your Message to us at HOLYness BIBLEs for the blind regarding the Nigeria Bible Outreach. Please include any information such as "TRACKING NUMBERS" if you are sending Bibles etc. to us for the NIGERIA BIBLE OUTREACH. Information such as the tracking number, shipper, whether FedEx, UPS, or USPS, and the date you sent your package out to us will be a big help in insuring that we can track your package to make sure it arrives safely here.